Date: Sep 18 2018, 9 a.m. - 10 a.m.
Zumba is a whole-body aerobic exercise that uses up a lot of energy and burns calories through dancing. It can improve flexibility, due to the number of movement involved, and it can help to strengthen core. Zumba is a Spanish word that means "Buzz like a bee and move fast." 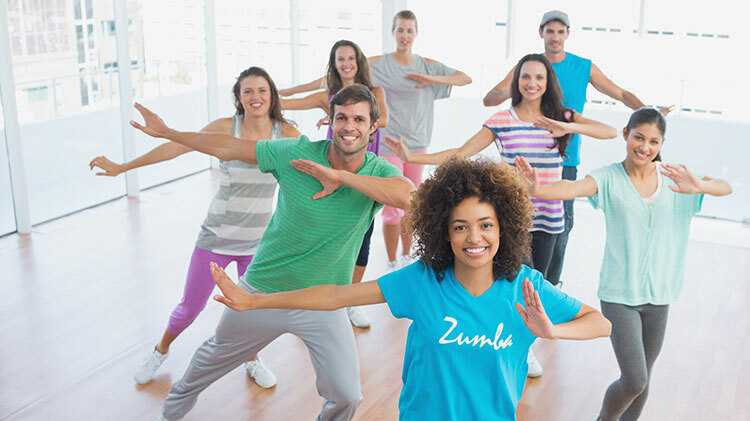 When you are participating in a Zumba group class, it doesn't really feel like you are exercising. Instead, it feels more like you are moving and grooving at a dance party or club. The choreography incorporates hip-hop, soca, samba, salsa, merengue and mambo. Squats and lunges are also included. Participants are encouraged to come at least 15 minutes before the start of the class. Kid Friendly class.